LOCKLINEWhat happens when we throw two dancers into the great spaces of Patagonia? We invite you to participate to this adventure that mixes dance and cinema. Thanks to all contributors! We are nearly there! Thank you very much to all contributors! It's really unbelievable. We are nearly there! For all those who wanted to help us but had no time to do so, the countdown has started. 5 days left to make the Mermaids dance in Patagonia! The siren is a hybrid being unscathed from a separation with the nature that our bodies have undergone. This short 30-minute film will be a kind of road movie carried by a duo formed by Victor Callens and Dereck Cayla. The idea is to let vibrate in a common pulsation the energy of two dancers and those of the great spaces of Patagonia. In this road movie, nature will be like a mass of elements that will confront the dance, and instead of a voice-over, it will be the dance and the body who will take the place of narrator. We seek to open the possibilities we have to relate to the world, to confront dance with nature and to explore the many ways to relate to it. By dancing in wide expanses the body can be the vector of this rediscovery and we want to testify it by cinema. 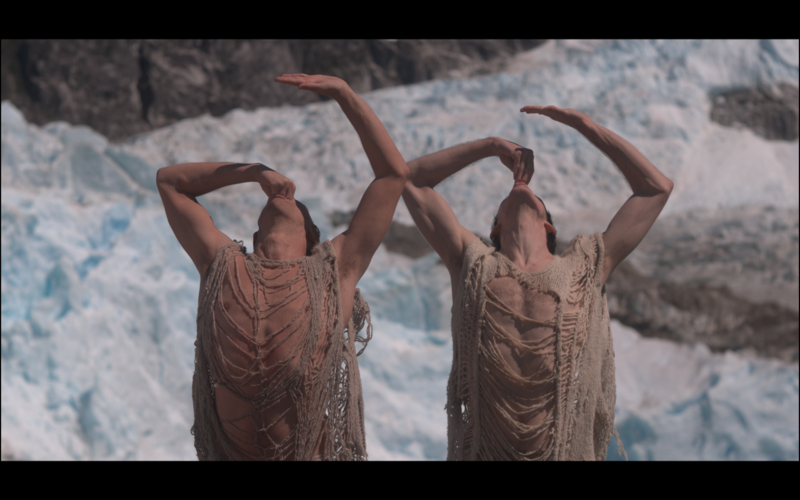 Two friends dancers meet in the great spaces of Patagonia to find the energy of dance in contact with this astonishing place. The elements, the forest, the water, the ice blend in with their metamorphoses. We decided to ask for support from you all because this ambitious project requires a little logistics to be completed. The challenge is to go with a camera, and nothing more than our bodies in the great spaces of the Patagonia. With a good preparation, enthusiasm and support we know we can make this adventure come true as we imagined it and even better. There is something stunning in the great South and we think we can feed our images with this force. We hope you will help us to make happen this project. Through this adventure we hope to create a different reality for us and our environment. What is at stake for us? Dereck is striking out on choreography, it's a pivotal and very exciting time. Having Pierre's support in this process strengthens him in his choices. Putting dance out of theaters is an opportunity for Dereck to understand better what he wants to defend and come back stronger with increased energy. For Pierre, working with other artists is a novelty. So far he has produced and directed his films on his own. This time he wants a collaboration, an experience where everyone is growing thanks to the support of the other. He wants to put forward an energy that he shares and to make visible something that is at play in dance and that joins what he seeks through cinema. It has been a while now that the first impulses towards this film emerged. I've known Dereck and Victor for years and collaborated with the former one in previous films. When I was filming Narcisse, I was captivated by his ability to connect with nature and by the strength of the cinematographic material he produced. At that time we had promised each other to work together on these subjects and develop them. 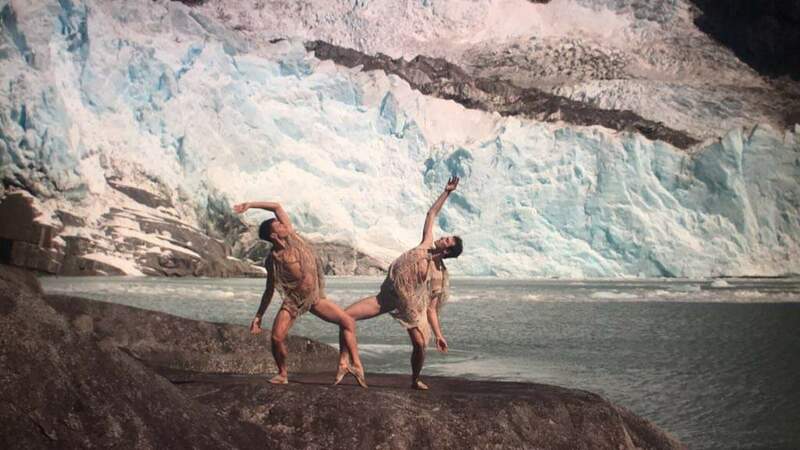 When he showed me the first videos of his work on ‘Mermaids’, I immediately thought that the framework of Patagonia could magnify what is at play in this duet of dancers. That's how the project was born. The choreographic movement of Dereck moves the boundaries of the human figure as we have been used to seeing it since modernity. There is a life in us whose consciousness of an internal pulsation reminds us of existence. 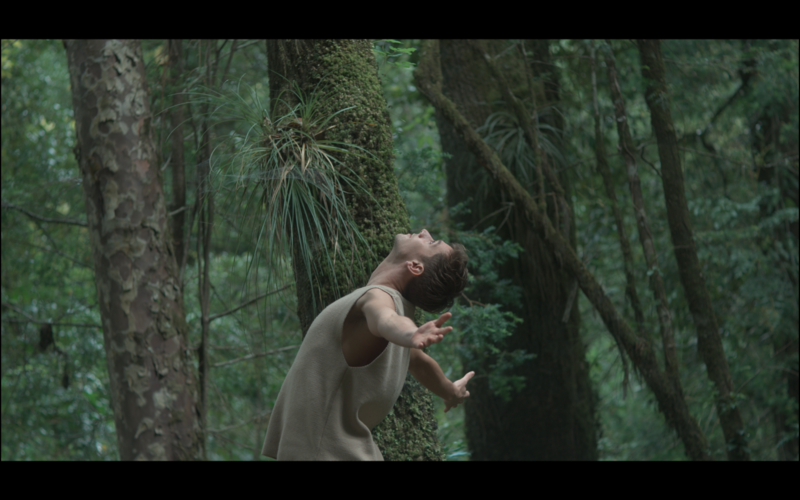 The dance hike becomes shamanic experience by the breath of the trees. The bodies are summoned to turn into vegetal animal figures. He becomes the water, the air, the earth. Victor and Dereck are like twins. On one hand there is the feeling of double, on the other hand there are radical differences: their story and what drives them to dance. What I want to tell is the story of these bodies revealed by the interaction with nature. What unites, disunites, how far am I willing to follow the other in its pulsation? What do I feel of the world that remains incommunicable to my double. Am I ready to follow him if he dives in cold water? Considering the scale of the project, we need additional support from our own resources. Thanks to this we can have a first result that will allow us to look for more support. We have to follow a strict protocol in respect of right and security and a professional approach to allow a good realization of the project. We will undertake a first trip in late December/early January 2019. This period was chosen to allow the entire team to be present and to benefit from adequate weather conditions for this first shoot. All the material part (camera, tripod, optics) will be lend by Pierre, as well as the montage tools used for his last film, which reduces the costs. Why does our project deserve your support? Alongside the film, a full choreographic piece "Mermaids" will be finalized during a residency of 4 weeks in May, followed by a first presentation in June 2019. Finally, a video-art-dance installation is planned for 2020, where dance and cinema will come together in public spaces. A trip tich of screen will be inviting the nature of Patagonia in urban spaces, while the dancers interact with the projection and the audience, with a desire to convey their experience of Patagonia in this common space. Where does the money goes? We will use the money for the transport of the dancers and the crew to the two different spots of shooting in Patagonia, Chile. Providing everyone with proper food and accomodation for the period of the shooting. A part of the money will go for security, guides for some places and recording rights when necessary. Below the amount of 9 000 €, the money will not be released and you will be refunded. With 9 000 €, we will have the opportunity to go to Patagonia with the entire team, to shoot the film and edit it in a minimal way. It is quite possible to exceed this amount, which would allow us to edit better and be able to add extra value to the film by sound compositions and specific costumes. We hope that our enthusiasm will be communicative and that our desire to create will be shared by everybody. Born in 1976, Pierre Bessette came to the movies with a rather unusual route. After studying engineering in Paris, he entered the Sorbonne to study philosophy. He obtained the ‘aggregation’ (highest teaching diploma in France) three years later in this discipline. Until now, he teaches philosophy in the french high school of Santiago in Chile. His personal artistic training began in 1999 under the direction of Vincent Lacoste. A few years later, he continued in the course of the ATC - Creative Theatre Workshop. In 2008, he created and directed, “C’est de l’eau” - This is Water - (Théâtre de l'Etoile du Nord, Paris, June 2009), a play essentially physical in which a couple lives its story by drinking glasses of water. By working with director Jean Seban on an adaptation of this performance, reflecting with him on the status of the image, it takes a liking to the realization. 2017: Director of a short film Chanson à Part, Song Sotto Voce, Best experimental film / Lisbon International Film Festival. Audience Award / Parangon Film Festival – Winner / AAB Film Festival Fresh Stream Experimental Film / Best Experimental Film. Latin American Days / Best Experimental Film. More than 30 selections into international festivals. 2016: co-writer of the documentary of Nicolas Contant Nous, les intranquilles, a collective experience of cinema, at the Centre Artaud. SANOSI Production. Premiere 2 mai 2018. 2012: Director of the short film Narcisse, from Cantate du Narcisse de Paul Valéry. Awarded at Five Continents International Film Festival. Selected at International Festival of Independent Films, Anonimul (Bucarest). Dereck Cayla is a French dancer/choreographer based in Amsterdam. He graduated in 2008 from the Conservatoire National de Musique et de Danse de Paris. Dereck teach Double skin/Double mind, a method created by Emio Greco and PC Scholten in the context of the Academia of Ickamsterdam. In 2015 Dereck is invited to take part of the re(opening) festival of Dansmakers and presented is first work in Amsterdam where he raised the question: What makes a movement my own movement? In this work he used the visual and physical transformation as an act to expose and play with his identity. He is now creating "Mermaid" a duet piece for two male dancers. In this piece he was interested in using physical limitation to further develop movement based Choreography and inspired by the myth of the Mermaid. Born in Lille (FR) in 1989, Victor Callens studied at the National Conservatory of Music and Dance in Paris from which he graduated in 2007 with the 1st prize. He then worked for Emio Greco / PC at ICKamsterdam for 6 years during which he danced most new creations and plays. In 2011, he was nominated at Nederlandse Dansdagen for the Swan of the most impressive dance performance of the year with his role in You/ PARADISO. At the same time, Victor worked on different projects with Jean-Paul Gaultier, Pierre Audi, Janine Jansen, Jean-Baptiste Mondino, Arno Dierickx and Andrea Bozic. In 2014, he joined E.Greco and P.C.Scholten in Marseille where he became a member of the National Ballet (BNM) as a dancer and choreographic assistant. An independent worker since 2017, Victor continues to dance, assist and teach at ICK and BNM, and also works with Mavin Khoo and Carlos Pons Guerra (UK) in addition to realizing his own projects. Mai Marie Diksma graduated from Fine Art Arnhem Hogeschool voor de Kunsten with a bachelor in fine art and then completed her education with a bachelor of Design, TXT (textile) at Gerrit Rietveld Academy. In 2005 she was awarded a grant from The Netherlands Foundation for Visual Arts, Design and Architecture. Since 2011 Mai-Marie creates visual installations, ephemeral and paper are very present in her creation process, her work has been shown in South Korea, United Kingdom, Amsterdam and Spain. Mai-Marie works on parallel as costume designer for dance and Opera productions. She is the costume designer of ‘Mermaids on the way to dance’. Bravo à vous ! Quelle chance d'aller explorer ces paysages grandioses ! Hâte de voir le film !!! Hâte de découvrir l'univers du film. Je crois en toi! Fonce! This looks like a very inspiring and exciting project! Good luck!! Je vous souhaite de réaliser ce beau projet et de nous faire rêver . I hope this movie will do well!! Bonjour Derek Bonne chance pour votre projet ! Je te fais confiance pour que ce soit beau. Je t'embrasse. Agnès PS : Je n'ai pas reçu de retour sur mon paiement ; j'espère qu'il vous est bien parvenu. Tous nos encouragements et notre soutien pour votre beau projet !! it's going to be fabulous, good luck in this beautiful adventure! Succes! Ik hoop dat het project doorgaat. Wow ! this project is great ! so modern, so necessary, so impressive. These artists are stunning, they will make a master piece. Let's support them ! Go for it! Lots of succes! It is with an immense pleasure that I'm getting back to you about the film 'Mermaids on a way to dance'. 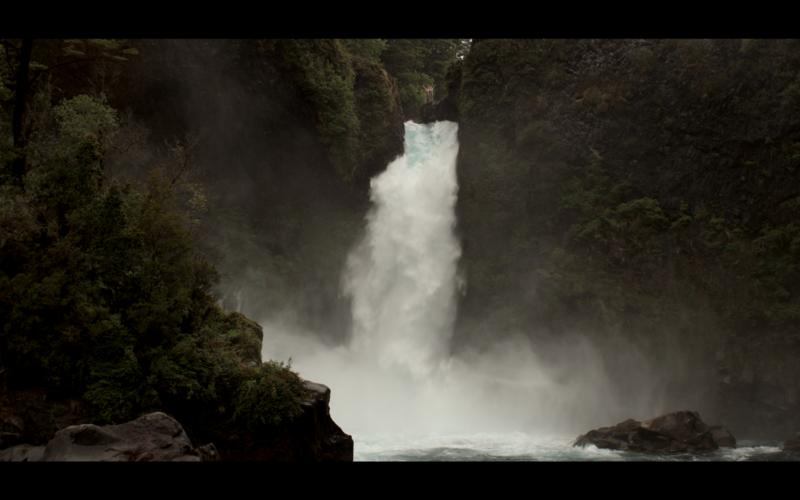 We started to shoot the film the 25th of December in Huilo Huilo a Natural park in the center of Chile. We spend one week there and shoot scenes in the forest, on a waterfall and underwater. The 31rst of December we started a journey of 3 days traveling towards Aysen in the south to reach the Glaciar Leones in Patagonia. What an amazing journey it was, full of beautiful moment and of course unexpected technical problems. With our wonderful crew (8 persons) we did it and felt each day a little closer to our dream. As we keep telling ourselves during those 2 weeks: 'The gods are with us' . Those image are precious to us please dont share them on internet. We will keep you posted for all the further development and we expect to be done with the film in December 2019. Once again we would like to thank you for all of your supports that made this all possible. We still cannot believe that it's true, and we can't wait to share it with all of you. C'est avec un immense plaisir que je reviens vers vous à propos du film ' Sirènes sur le chemin de la danse'. Nous avons commencé à tourner le film le 25 décembre à Huilo Huilo, un parc naturel au centre du Chili. Nous y avons passé une semaine et avons tourné les scènes dans la forêt, sur une cascade et sous l'eau. Le 31 décembre, nous avons commencé un voyage de 3 jours en direction d'Aysen au sud du Chili pour atteindre le Glacier Leones en Patagonie. Quel voyage incroyable, plein de beaux moments et bien sûr plein de problèmes techniques inattendus.Mais grace a notre merveilleuse équipe, nous l'avons fait et nous nous sommes sentis chaque jour un peu plus proches de notre rêve. Comme nous avons continuer à nous le dire pendant ces deux semaines: "Les dieux sont avec nous". Ces images nous sont precieuses, ne les partagées pas sur internet s'il vous plait. Nous vous tenons au courant de tous développements et espérons terminer le film pour la fin décembre 2019. Encore une fois, nous voudrions vous remercier pour votre soutiens qui à rendu tout cela possible. Nous avons encore du mal y croire et nous avons hâte de partager ce film avec vous tous. We did it, or should I say you did it! Because of your generous support we have raised 9254 Euros. This is unbelievable and in only 25 days. We are feeling grateful, touched and humbled down by this experience. To feel that 108 people are with us in making this film is incredible. We thank you all for your trust. We are leaving together with Victor on the 24th of December to join Pierre in the south of Chile to start shooting the film... The adventure is just starting! Nous l'avons fait, où devrais-je dire que vous l'avez fait! Grâce à votre généreux soutien, nous avons collecté 9254 euros. C'est incroyable et en seulement 25 jours. Nous nous sentons reconnaissants et touchés par cette expérience. Sentir que 108 personnes sont avec nous pour faire ce film est incroyable. Nous vous remercions tous pour votre confiance. 5 days to make the Mermaids dance in Patagonia! Thank you! You will receive a personal thanks from us and we will keep you informed of the latest news about the movie. Amazing, thank you! We will send you 2 ticket for the premiere of the film, plus all the above. wouahou! Thank you so much! You will receive 4 tickets for the premiere of the film, and have a meet and greet with the crew, plus all the above. We are very thankful! You will be invited to see the rehearsal of the performance ‘Mermaids’ with the dancers, plus all the above. We are extremely grateful for your support! You are offered a limited edition of a printed picture from the film, plus all the above. Words cannot describe how precious your help is to us! You are mentioned in the credit as an executive producer, and will receive 2 ticket for the Dance piece ‘Mermaids’ and all the above. Thank you for believing in our project! We would like to reward you by offering a workshop given by the choreographer to any chosen location of your , for you to get a physical experience of the work ‘Mermaids’, plus all the above of course. 108 supporters have contributed to this project!